The reason for this has nothing to do with physical differences and everything to do with lack of access. Swimming should be a skill offered to everyone. However, it’s a privilege afforded to those who live near a pool or accessible natural body of water, and who can afford to pay for lessons. This excludes inner city children who lack one or both of those opportunities. The U.S. Center for Disease Control and Prevention reports drowning as the second leading cause of injury-related death among children under the age of 15. Other studies show that Black children from ages five to 19 drown in swimming pools nearly five times more often than White children. The painful stereotype of African-Americans’ poor swimming skills is one reminder of the trouble a child can face. The world was also reminded in 2010, when six African-American teenagers from Louisiana drowned in Shreveport’s Red River. The teens (from two different families) were found dead after trying to save a friend from rough waters. Sadly, parents and friends watched in horror as the teens drowned in up to 20 feet of water because they, too, couldn’t swim. Today, nearly 60 years after the abolishment of Jim Crow laws that kept African Americans from pools and safe swimming places, many children still never get the chance to swim. When racial integration finally became a mandate, many areas responded by closing public pools so they didn’t have to mix, creating a bigger social divide that transcended race because if you didn’t have the money to go to a country club or private pool, you either didn’t learn to swim, or you tried to learn from an untrained friend or family member in rivers, lakes and even ponds. That’s the history, and it has undoubtedly contributed to where we are today, to this troubling acceptance that swimming — an important life skill — isn’t for everybody. The historic separation of African Americans from pools is a problem that affects the elite world of competitive swimming. Despite Simone Manuel’s Olympic gold-medal success last summer, only three of 45 swimmers on the 2016 U.S. Olympic team were black. And out of 107 historically black colleges and universities, not one has a functioning 50-meter pool. Howard University is the only historically black college or university with a competitive swim team. 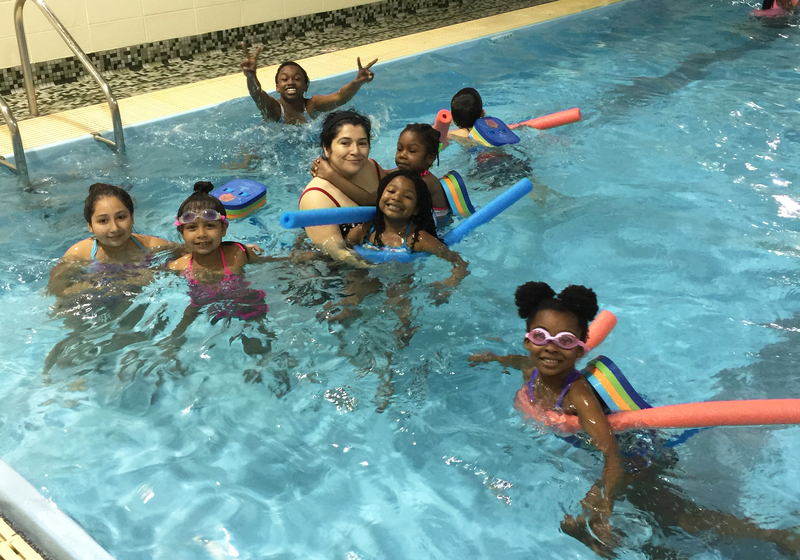 With few role models and scarce opportunities to swim, too many black children see swimming as an inaccessible and uninviting sport. In addition to safety concerns, an inability to swim bars children from being qualified for a variety of summer employment and career opportunities, ranging from lifeguards to camp counsellors. 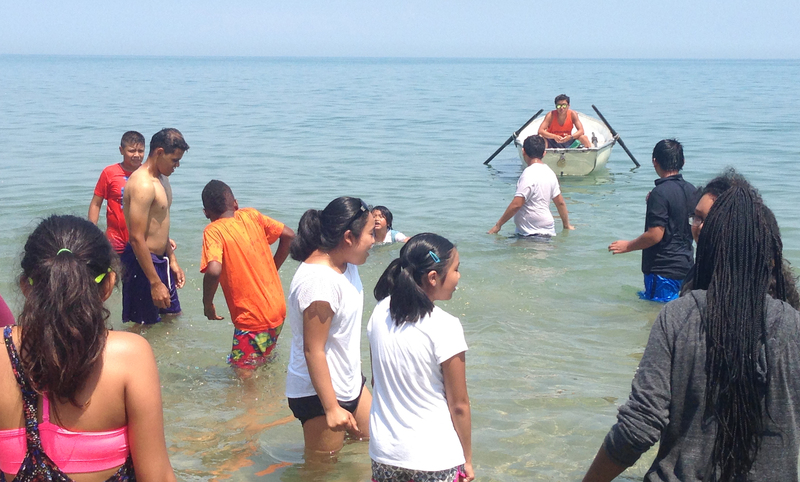 This fall, Family Matters Boys 2 Men program, in partnership with the Evanston YMCA, plans to change that with their Making Waves Program. The eight-week program will kick off in September, and will teach ten young men basic water safety tips and how to swim, which is a priority, especially in the wake of a recent tragic drowning of a neighborhood youth. Family Matters is incredibly grateful to the YMCA for this opportunity, and plans to continue to expand the program to include additional youth members.